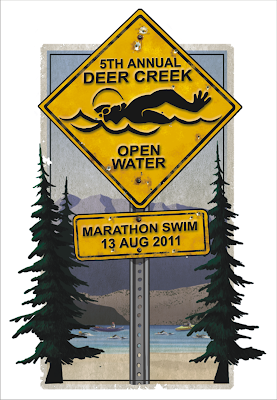 The 5th Annual Deer Creek Open Water Marathon Swim is coming up this Saturday! As is usually the case, there are several swimmers coming from out of state who still need paddlers. If you or anyone you know is available to volunteer, please leave a comment below or email me at joshuakgreen@gmail.com. Paddlers will get a t-shirt for volunteering their time. If you would rather swim, there is still time to register. You can do it right here.